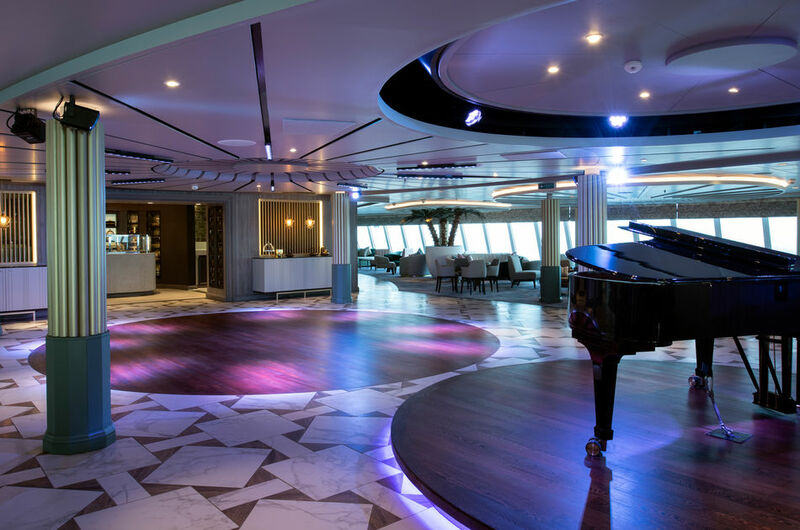 Crystal Serenity has emerged from a near month-long dry dock with new Penthouses, new entertainment, new dining options and more in the ships most extensive refurbishment ever. 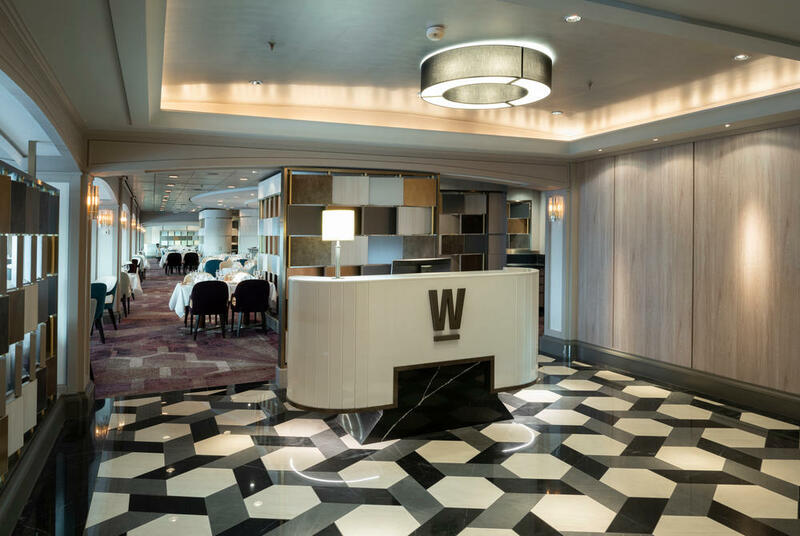 The ship now mirrors the changes implemented aboard Crystal Symphony in autumn 2017. 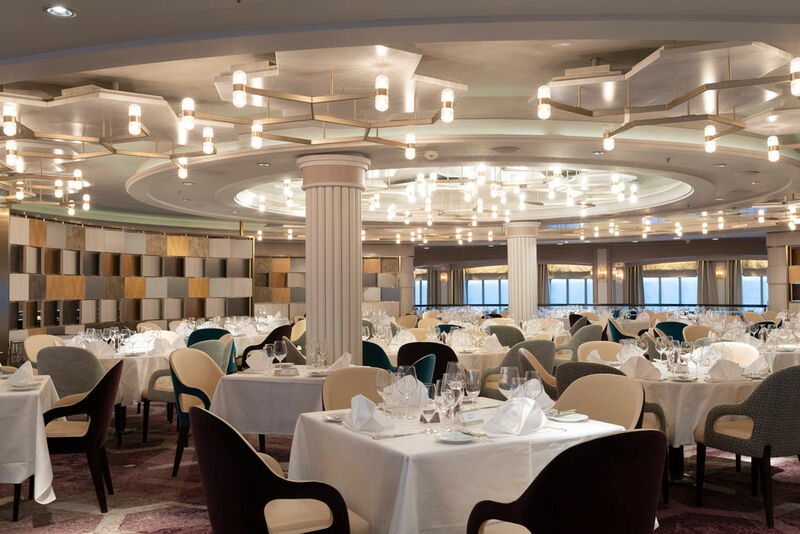 As open-seating dining debuts aboard Crystal Serenity, guests can dine where, when and with whom they choose, allowing them to indulge as they wish and affording more flexibility for evening entertainment. 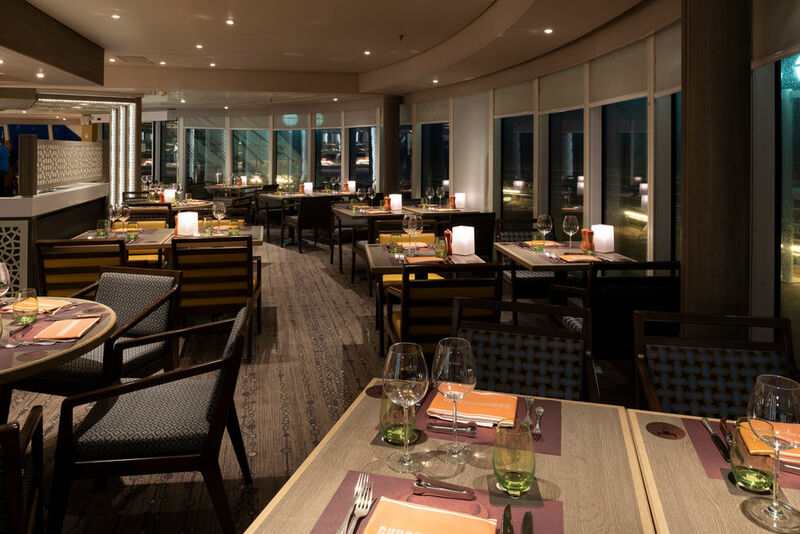 New venues are also debuting, offering a refreshed selection of globally inspired cuisine with reimagined décor. Replacing the Crystal Dining Room and reflecting the elegance of the main dining venues aboard Crystal River Cruises and Crystal Symphony, this centrally located restaurant continues to serve daily changing menus of international classic and modern cuisine, paired with unlimited fine wines, spirits and beers. Breakfast and lunch service times continue as they were previously, while guests have the freedom to dine in Waterside for dinner any time they choose. The dinner menu continues to be offered for room service dining during dinner hours. The new daytime and evening identities of the former Lido Café, respectively. Both venues feature an open-kitchen concept with dishes made to order. The Marketplace serves an expansive menu of buffet-style breakfast and lunch options and transforms into Churrascaria during the dinner hours. This Brazilian-style BBQ welcomes guests with a traditional Caipirinha cocktail, then offers a selection of tapas and ceviche, salads and soups, vegetables and freshly grilled meat and seafood brochettes, served the traditional way with a “Crystal” twist. Crystal gauchos take meats directly from the grill to carve them tableside from sword-like skewers. 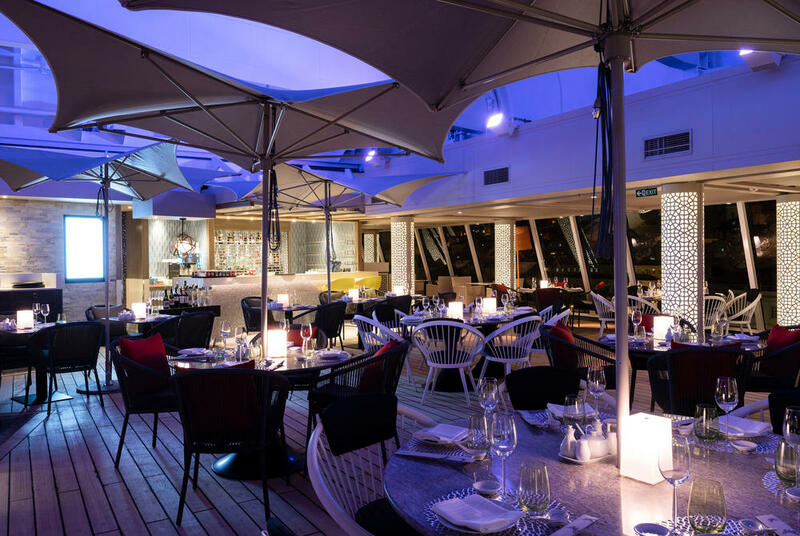 In the Trident area of the ship that was formerly Tastes, this Asian-inspired venue serves traditional Chinese comfort food in an elegant al fresco atmosphere. Family-style favourites are on the menu for dinner, while lunch options include favourites from the noodle bar, wok dishes, traditional dumplings, Chinois soup and a small selection of menu items from Tastes. Silk also serves Crystal’s late risers breakfast service. The rebranded Silk Road & The Sushi Bar continues to serve the Japanese-Peruvian specialities of Master Chef Nobu Matsuhisa by his personally trained chefs and remains the only Nobu restaurants at sea. 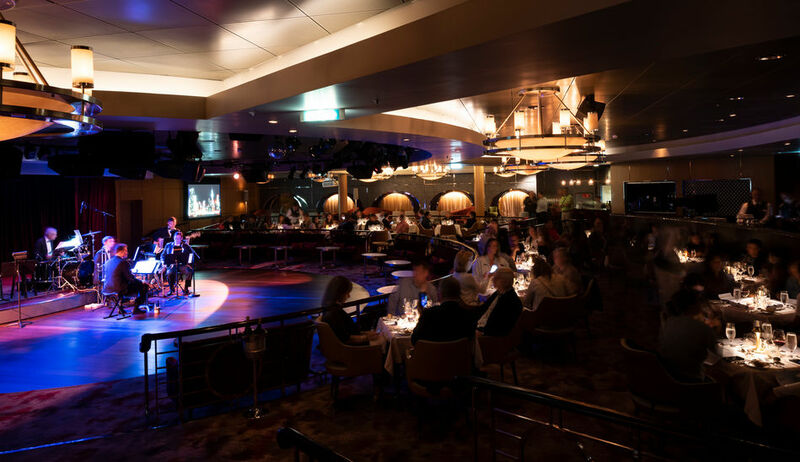 A brand new dining experience reminiscent of the era of the Rat Pack debuts on black-tie-optional evenings in the Stardust Club, featuring a four-course menu, live musical performances from Crystal’s Ensemble and string quartet. Cuisine reflects specialities served in Waterside, with wine pairings and desserts as well as a vegetarian menu. The specialty restaurant continues to serve regional specialties of Italy in the cosy, authentic atmosphere guests have come to love. 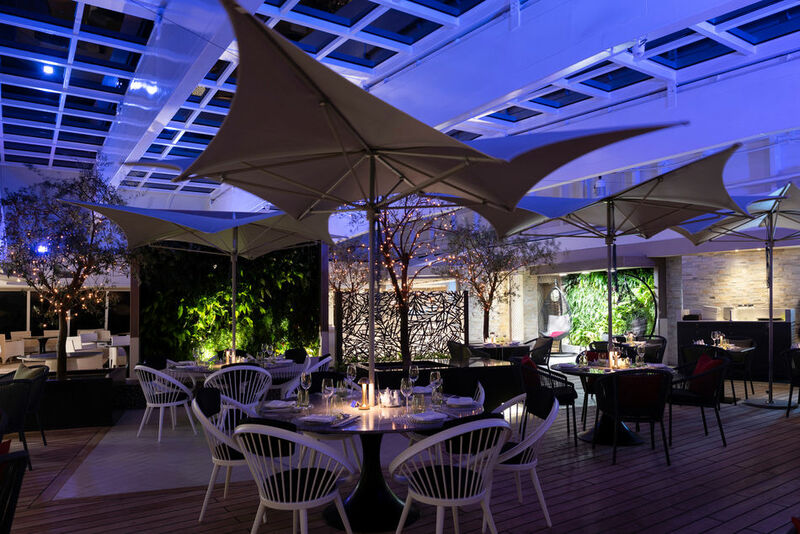 This favourite spot on board for gatherings of all sorts has been reimagined with an intimate atmosphere. The stage has been relocated to an “in-the-round” concept, with a new modernised bar. New touches include a combination of cocktail tables and chairs, dramatic wingback chairs with footstools, sofas and coffee tables. As Palm Court has long been a destination on board for traditional afternoon teatime and refreshments, the previous stage area has become a dedicated culinary space to feature fresh pastries and snacks. 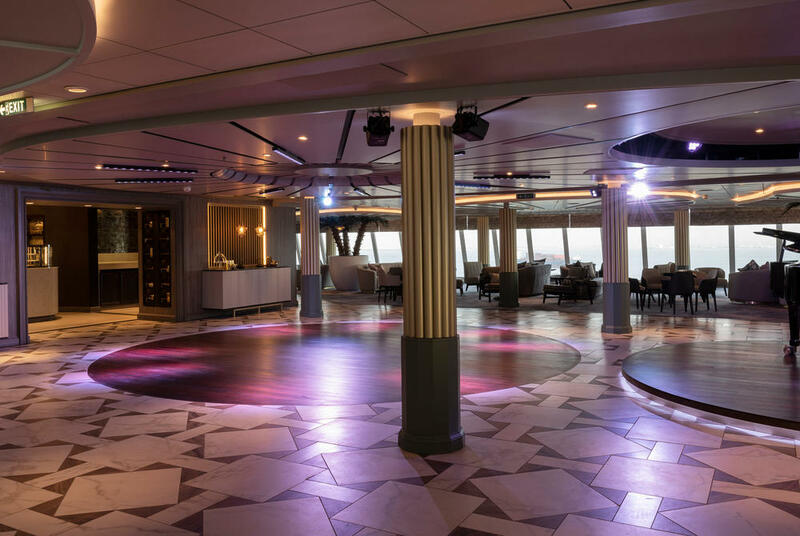 A popular nighttime spot for drinks and dancing, the Stardust Club features a new dance floor, new bar finishes and a refreshed décor, resulting in a lighter and more spacious feel, with new lighting and technological upgrades as well. 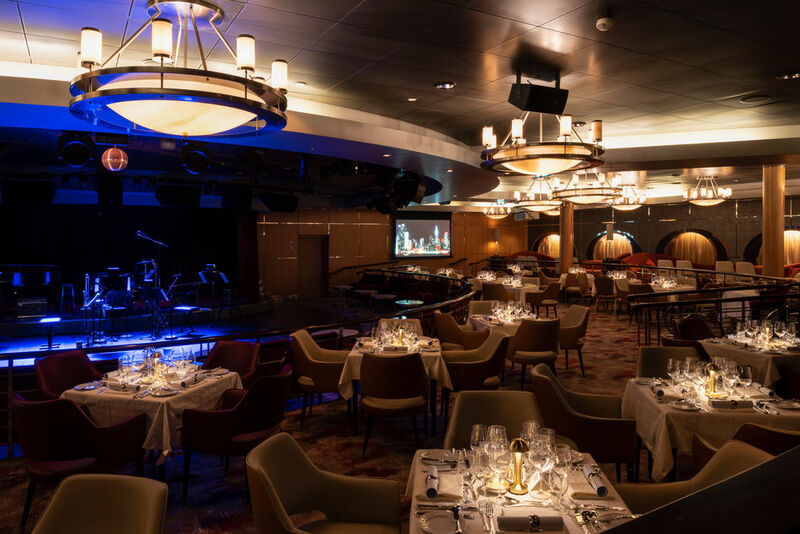 New seating configurations allows the room to be easily transformed into a multi-functional space to host the Stardust Supper Club and large gatherings from bridge tournaments to live evening entertainment. In the Galaxy Lounge, the Crystal entertainment team is installing a new Broadway-style production show called 'Crystal on Broadway, The Show' featuring songs from the hit musicals Rent, Something Rotten! and West Side Story. The show is a result of the partnership with Kevin McCollum, the multi Tony Award winning producer of Rent, Something Rotten! and the most recent Broadway revival of West Side Story. 36 new Seabreeze Penthouses and two Seabreeze Penthouse Suites now occupy the space of former Deluxe Staterooms with Verandah. 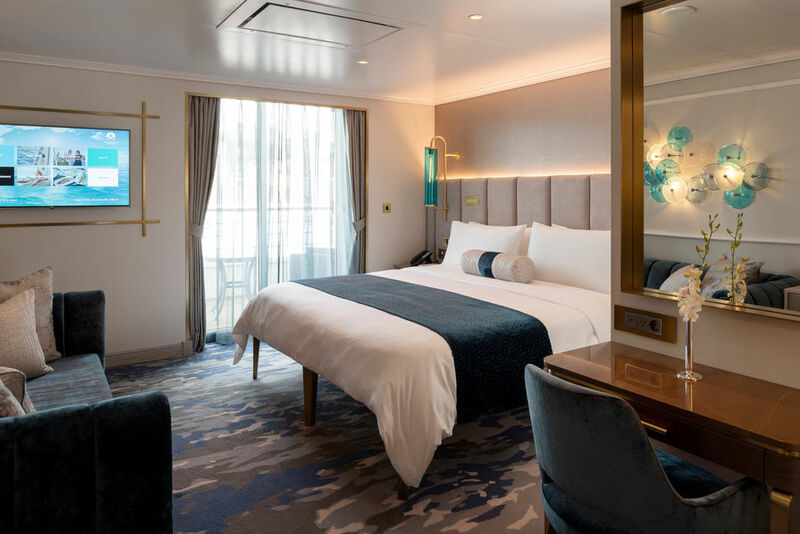 The new accommodations offer the same personal butler service, specialty services, walk-in closets, spa-like bathrooms and spacious square footage as the other Penthouses on board. Customised, contemporary design and décor are featured throughout, with gemstone-coloured velvets, natural materials and brushed brass touches with marble details. The Seabreeze Penthouses also feature unique entries, which are shared between two suites and recessed from the hallway. This enables a seamless design for connecting two suites for larger families upon request. In all rooms – public and guest suites – new, state-of-the-art HD flat-panel TVs have been added, featuring technology that allows guests to access a variety of information on their TVs including onboard folios, Crystal Life Spa & Salon menus, the Connoisseur Wine menu and daily restaurant menus. The new on-demand system also offers a vast library of blockbuster films and entertainment, as well as live views from the ship, broadcasts of ship lectures, presentations and destination information. Upgraded, pervasive Wi-Fi coverage throughout the ship is delivered via dedicated antennae in every suite and all public areas and open decks. 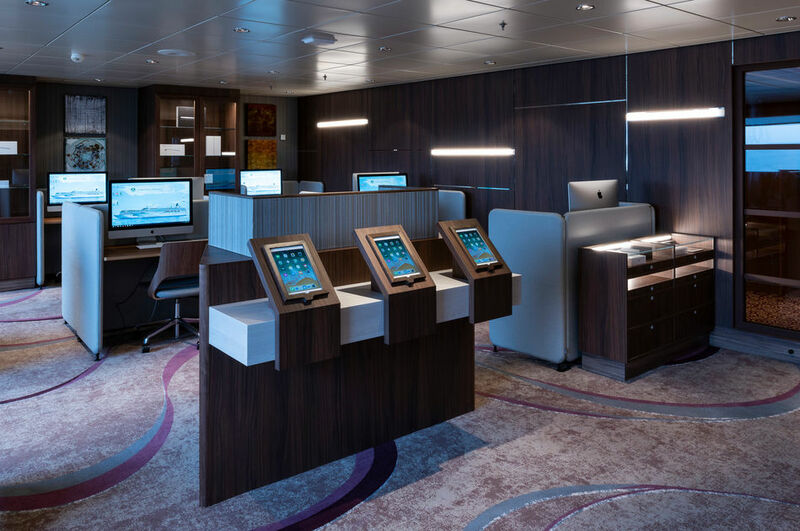 Crystal Serenity’s spacious enrichment facilities were also redesigned. The Computer University@Sea has received new carpeting, seating and computer equipment, along with 70-inch TVs. The multifunctional enrichment room, The Studio, has been divided to offer a classroom for language, art and other instruction and a separate dance studio for private lessons.